We've been working with the Boys and Girls club in Gulfport, Mississippi with the Steps coalition to explore low cost monitoring methods and education on the Turkey Creek with the students. Back in March, we balloon mapped where the creek runs right by the boys and girls club, and now we're hoping to zoom in and explore water quality in the creek. 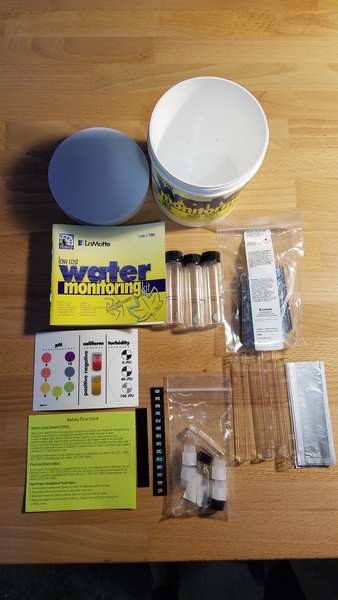 I've been looking into low cost water monitoring kits that are good for educational purposes. I have done some work in the past with reagent based monitoring methods, and find that they are pretty accessible as they don't require expensive equipment, and they provide visual and colormetric data which tends to be easer for people to understand than the numbers or graphs sensors produce. 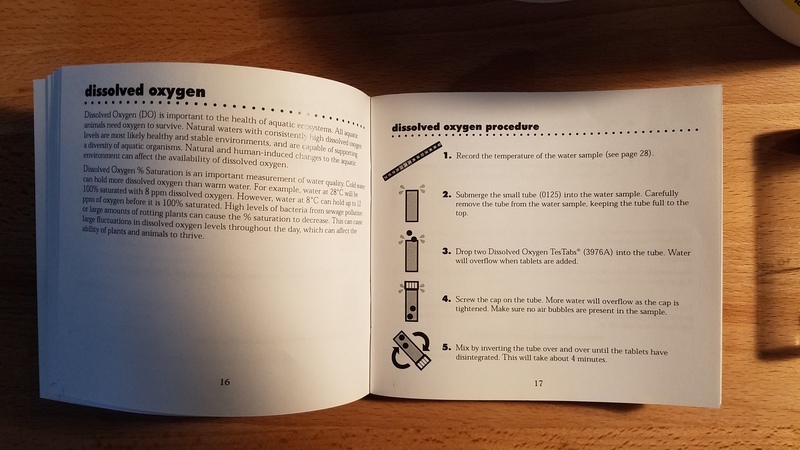 I did some exploring on how those kits have been put together and packaged for education recently, and decided to test out the LaMotte/Earth Force low cost Water Monitoring kit (Code 3-5886). I was able to find it for about $38 on Amazon. The kit says it has all the materials to monitor coliform bacteria, dissolved oxygen, BOD, nitrate, pH, phosphate, temperature, and turbidity. The kit comes in a pretty small container and I was skeptical that it was really going to have everything we were looking for. We're working with about 15 elementary school students, and I want to make sure everyone can get hands on with the materials. has a second side that's in Spanish! Even with everything it had, I was able to get through the booklet in about 20 minutes on first read. The container the kit comes in is what you're supposed to use to collect the samples. They suggest boiling it ahead of time to make sure it's clean. 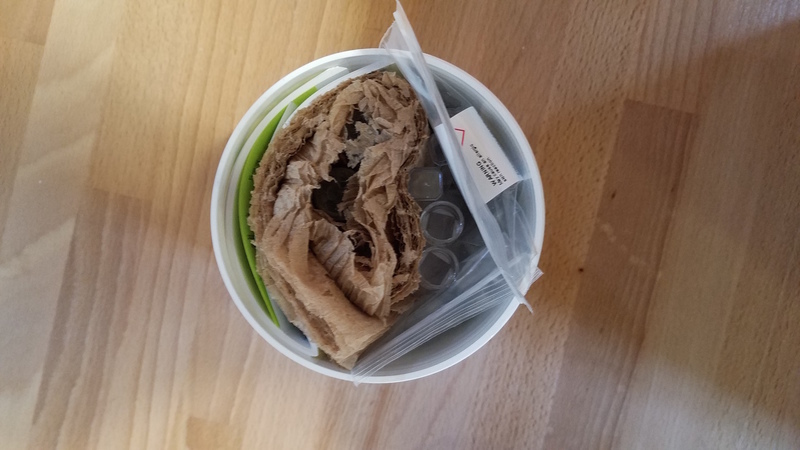 They also have you use the container for the turbidity test as they give you a small sticker to place on the bottom that is a Secchi disk icon. I was most intrigued by the temperature pieces of the kit as they are actually small stick on strips they say you can put on the container itself or something else to tell water temperature. I'm not entirely sure how these will work, I've never seen anything like it. We're getting together early May with the students to test out this kit. I'll report back how it goes after!